Red River has one of the best 'ski towns' in new mexico. Similar to the small, quaint shops and restaurants you'd find in a true ski town who's main economy runs off the business it gets during the winter season, downtown is made up mostly of restaurants, souvenir shops, and hotels. Unfortunately, due to the family nature of the ski town and ski area, most of the restaurants close at, or before 10:00 pm. In addition, there's not much of a bar scene. However, if you're just there for a weekend ski trip and the snow's good, you can still have a great time! 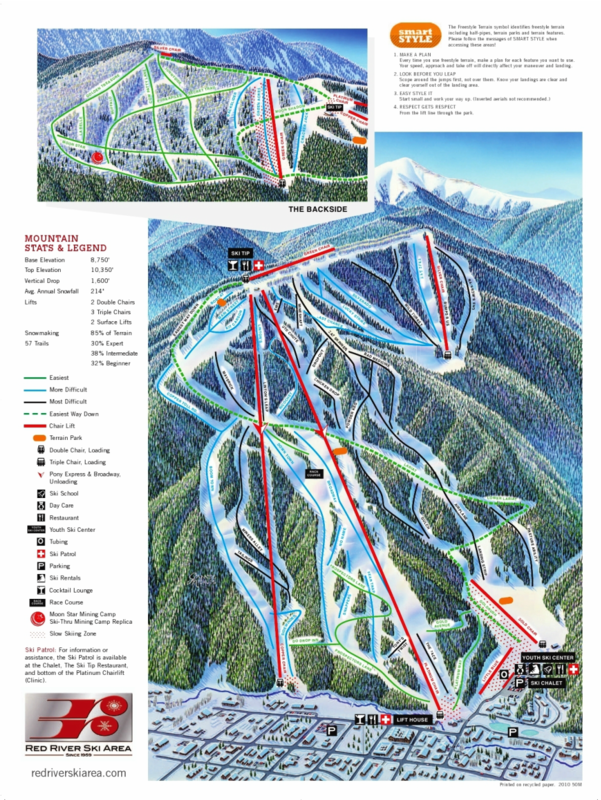 As for the skiing, this mountain is great for beginner - intermediate skiers with a few, short-lived steeps here and there to keep the advanced skiers and mogul fanatics entertained. There are several wide open runs similar to the greens and blues you'd find at some Colorado resorts, a welcome relief from the usual, narrow runs that you'll in some places around New Mexico; specifically Sipapu. 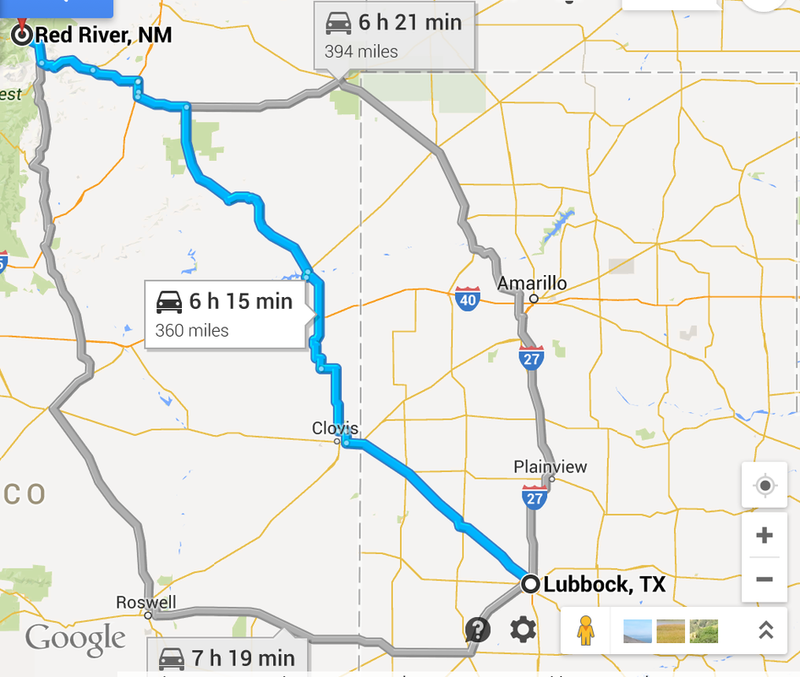 However, if you don't go to Red River for the terrain, go for the parks! Red River has two impressive terrain parks. One of the the most extensive is the one that runs underneath Red Chair. With several boxes, multiple types of rails, kickers and higher up, 3 fairly-large size jumps at 10-12 feet of air. Overall, it's a fun resort! the Platinum, Copper, and Gold Chairlifts.